It is that time of the year again with school fees and other expenses associated with our children’s education taking center stage. In yesterday’s edition of the Sunday Samoan, there was an article titled “University’s tuition fees and payment deadline under fire”, which quoted a parent and two students and highlighted the difficulties that they were facing paying fees owed to the university. A mother of two National University of Samoa (NUS) students – who did not want to be identified – spoke of her struggles as a single parent and simultaneously supporting two children. The university has given parents and guardians a March 15 deadline to pay the course fee, which the single mother described as a “greater disappointment”. She appealed to the NUS administration to reconsider their deadline for the payment of the tuition fees. Foundation Year students Julie Atopa’u and Tafuaina Maligi echoed similar sentiments, when questioned by the Samoa Observer. The two students said their parents have a month to pay the fees, which will be difficult as they are paid on a fortnightly basis. But speaking to the aggrieved parents and the students, you get the feeling that the issue is only the tip of the iceberg. In fact, it appears a lot of parents and guardians don’t know the true cost for a student undertaking an undergraduate study program, at a tertiary institution like the NUS. While we appreciate that tertiary institutions such as the NUS require a substantial amount of financial assistance to run and continue to improve their course content, inline with international trends and standards, what is the average yearly unit cost for a university student in Samoa? A lot of times, the fees charged are below the unit cost, with the Government paying the balance. But then, again, what is the average yearly unit cost for a university student in Samoa? And how much does the Government give in terms of subsidizing the cost of education for ordinary citizens who lack the resources and finances to privately sponsor their children? There could be a lot of parents and students out there – who have similar concerns – but are not comfortable knocking on doors to seek answers. It is time for tertiary-level educational institutions such as the NUS to sit down with parents to give them a breakdown on the average yearly unit cost for a university student. Parents and guardians should be given the university fee regime, to enable them to plan for the future and or to seek Government or private sector support, if they have to. Listening to the concerns expressed by the single parent (or anyone else for that matter), it appears she lacks knowledge on how expensive tuition fees in universities around the Pacific such as the NUS have become in recent years. If students are asked to pay tuition fees of between $1000-$5000 annually to enroll in an undergraduate degree program, then it is likely that the full cost of educating your child is being subsidized by the State. Which brings us back to the point that a tertiary institution like the NUS should meet with parents and guardians and give them a breakdown of the fees. They need to know the true cost of an undergraduate study program. And due to the differences in the socio-economic background of people, there are parents and guardians who will need the assistance of the State, to pay for their children’s university tuition fees. 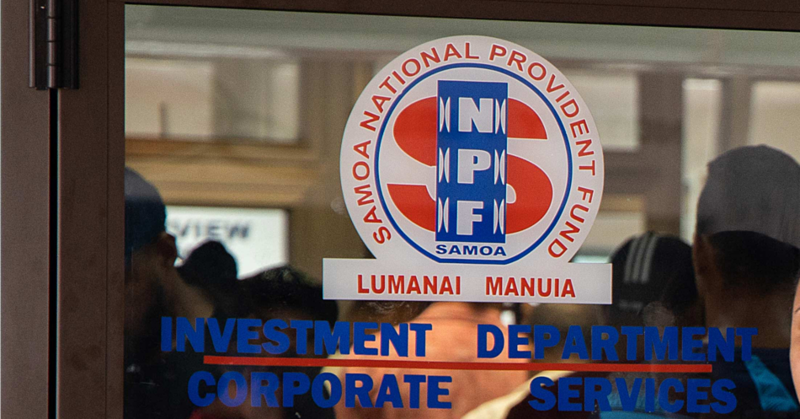 Perhaps a university fee assistance program, which could be tailored to support Samoa’s impoverished families, could be created in a partnership funding arrangement between the Samoa Government and a donor partner. We believe the children of all Samoans – regardless of their socioeconomic background – should be given an opportunity to access quality education. No child should be left behind, even if they have limited financial resources. Have a fabulous Monday and a wonderful working week. God bless.